DO YOU HAVE ANY GOLF RESOLUTIONS for 2019? "Play more" is a good one for me. "THE SHOW WILL GO ON," reported GolfDigest.com. 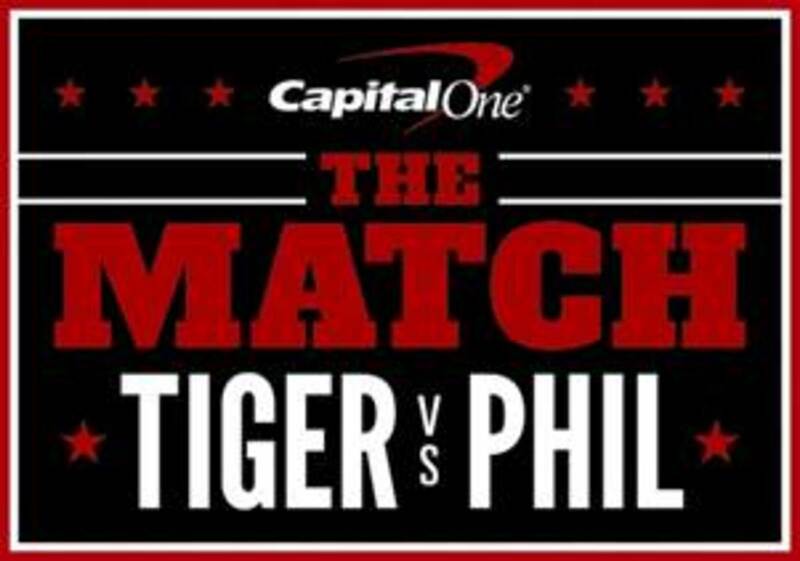 That show is "The Match" between Tiger Woods and Phil Mickelson, although perhaps in a different format in 2019 and 2020. The first "Match" won by Phil Mickelson on the 22nd hole reportedly garnered about $20 million from paying customers. All those subscription fees were returned due to technical glitches by Turner. The title sponsorship of Capital One also kicked in a healthy sum. That doesn't mean we'll see a rematch of the affair that Mickelson won on the 22nd hole in the dark on a makeshift par-3 hole. But to keep both involved, a team showdown is "almost a certainty," said one confidant of the two men. The conventional thought is that they pair together against two challengers. But another option apparently is that they remain on opposite sides and each chooses his own teammate. The refashioned Match holds some promise if it's more than Tiger and Phil. They should pair the old guns with some young guns. Then they might have something. ERNIE ELS GREW UP AMIDST the turmoil of apartheid. But, with a putter in hand, he helped unite his country at the 2003 Presidents Cup in South Africa. Els will get another chance at a victory, serving as International team captain at the 2019 Presidents Cup. This edition of PGA TOUR Profiles spotlights the South African golf legend known as the "Big Easy." THERE ARE SEVERAL CATEGORIES of golf balls: men's, women's, yellow (and other colors), personalized, licensed and logo. Men's golf balls can be grouped in subcategories focused on performance characteristics such as distance, soft feel/low compression, tour level and more. Next time: Two-piece golf balls. I LIKE TO KEEP IT MOSTLY POSITIVE, but this clip caught my eye. Matt Adams and Geoff Shackelford share their biggest disappointment in golf this year. I'm with Matt on this one. GOLF BALLS CONSIST OF A CORE, in some cases layering, and always a cover with dimples. Often made of rubber, the core determines compression rating, which is expressed as a number such as 74, 88, or 105. (A denser core has higher compression.) The higher the number, the more force that’s required to compress (squash) the golf ball at impact. As a result, high-compression golf balls are normally used by golfers with faster swing speeds. Lower-compression golf balls are preferable for golfers with slower swing speeds, making it easier to compress the ball and generate more distance. Located between the core and the cover, layers (found in multi-piece golf balls) add playability features such as spin, distance control and accuracy. Golf ball covers are made of ionomer (a polymer material containing ion) or urethane (a synthetic compound). 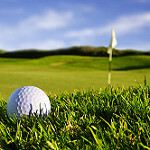 Created by Dupont and known for its durability, Surlyn® has been a popular ionomer golf ball cover for a half century. Urethane covers are used in premium golf balls and are often favored by golfers who value softer feel and more spin. The dimples on golf balls help create flight. Varying in shape and pattern—and usually numbering 300 and up per golf ball—dimples affect spin rate, distance and accuracy. Put simply, think of the core as the engine of the golf ball and the dimples as the wings, as a Titleist senior project manager explained. BROOKFIELD, Wis. – Joe Passov, Golf Writers Association of America-award winning golf journalist, has been chosen as the 2019 recipient of the ASGCA Donald Ross Award. The award, given annually since 1976, is presented to a person who has made a significant contribution to the game of golf and the profession of golf course architecture. It will be presented to Passov in May as part of the 2019 ASGCA Annual Meeting in Phoenix-Scottsdale, Arizona. "Joe is among a small group of true golf writers--in contrast to the scores of golf critics--who are communicating about golf courses today. He's the rare journalist who understands the history, culture and strategy of the game and is producing thoughtful pieces that help the golfing public understand what golf course architects do," said ASGCA President Jeff Blume. "Joe's insight and creativity stand out in today's quick-hitting news cycle, and ASGCA wants to recognize his commitment to his craft." Passov specializes in writing about golf travel and golf course architecture. He has researched and written more than 300 articles on classic courses and architects, including features on Alister MacKenzie, A.W. Tillinghast, Perry Maxwell and of course, Donald Ross. He has interviewed nearly every top modern architect, and has had the pleasure of teeing it up with more than 40 ASGCA members. Perhaps best known for his popular "Travelin' Joe" and "Eye on Design" columns in GOLF Magazine, Passov has had more than 2,000 articles published in nearly 100 publications in North America, the U.K. and Asia. Formerly Editor-in-Chief of LINKS Magazine and prior to that appointment, a senior staff editor at three other major national golf publications, Passov has written about golf and related topics for The New York Times, the Los Angeles Times, Sports Illustrated and Men's Health, among other publications. He has also served as Contributing Editor at Golf Travel China and Golf Travel Korea. Passov graduated from the University of Arizona in 1984 and received his law degree from the University of Nebraska in 1988. He lives in Cave Creek, Arizona, with his wife Betsy, whose favorite courses are Cypress Point and Ballybunion. Passov's sister Lori is married to fellow Arizonan Ken Kavanaugh, ASGCA.